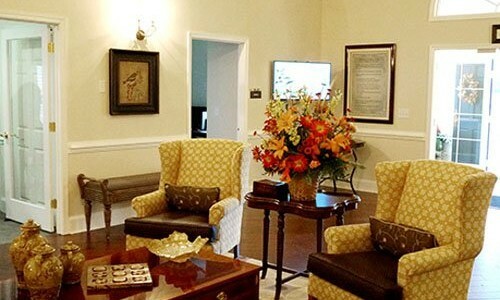 I liked Legacy Assisted Living & Memory Care at Lenox Park. The rooms seemed to be larger than the rest of the places I went. It might be the place I go to when I do go. They have activities like bingo, plus they have swimming. The dining area was like a cafeteria and it was in two parts. I talked to a lot of people there and they said they hadn't had any incidents. The facilities were good. The room was very spacious and a nice size. They have an activity room with a television set and a computer. Legacy Assisted Living & Memory Care at Lenox Park was not any place I would recommend to anyone. The main problem is they do not have enough staff to take care of the number of residents that they have. Therefore, there's a lot of things that did not get done. The room was not kept up very well at all. They did some updates, but they were long past due, and there's still a lot of things that should be done. They really didn't do special diets like they should. The staff was not very friendly, but they did all they could do. They just did not have enough staff for the number of residents that they had. The ones that were there were overworked. They did not encourage my mother to participate in activities because she has Alzheimer's really bad and she is difficult to deal with. I just left Legacy checking on my mom. They have a nice, dedicated staff. I’ve seen the meals, and they feed them very well. It’s clean. I’m comfortable having my mother there in memory care. The best way to get to know a community is by scheduling a tour. See the facilities, meet the staff and residents, and get a feel first hand what it's like to live at Legacy Assisted Living & Memory Care at Lenox Park Assisted Living. The ideal senior living community for individuals looking for extra help and assistance, Legacy Assisted Living and Memory Care at Lenox Park (formerly Greenfield Assisted Living) provides accommodations and services for both assisted living and memory care. Our homelike setting is inviting, and our dedicated staff members are on site around the clock and available to lend a hand with a variety of tasks at any time. Legacy Assisted Living and Memory Care at Lenox Park is a part of the Legacy Assisted Living family of communities. Overseeing retirement communities in Virginia, Tennessee and Pennsylvania, Legacy Assisted Living provides personalized, quality care in homelike settings. During their stay, our residents are provided with a wide number of engaging and fun activities to participate in. Events can include outings and trips to local attractions, exercise programs, live entertainment, guest speakers, educational opportunities and more. When not participating in one of our many programs, residents can be found socializing in our community rooms, enjoying the beauty of our fenced courtyard and taking a stroll along our secure wandering paths. Accommodations are provided in studio, one- and two-bedroom floor plans, most of which come with screened patios, kitchens, ample closet space, bathrooms with extra safety features, individually controlled thermostats and emergency call systems. As standard services that all residences receive here at Legacy Assisted Living and Memory Care at Lenox Park, we happily provide routine housekeeping and linen changing. This leaves residents with more time to enjoy themselves free from the hassle of daily chores. Salon and barber services are also available on site. We have 24/7 trained senior specialists available to guide and support our residents, and we also offer free discharge planning and support Veteran's Benefits. When needed, caring staff members are available to lend a helping hand with a variety of tasks. These can include medication management, personal hygiene, dressing, ambulation and other regular activities. Legacy Assisted Living and Memory Care at Lenox Park is an inviting and warm community for Memphis seniors seeking assisted living or memory care.